She was willing to work with me day, night or weekend to see the houses I was interested in. 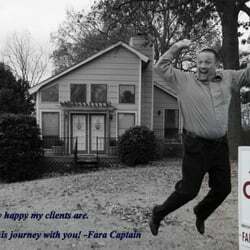 If you are looking for a new home I highly recommend working with Fara! Once we relocated to Memphis, Fara made it a point to reach out ensuring we had a familiar face in in the city." "She is creative, hard working and will always return your call, e-mail or text promptly. I definitely recommend Fara for all of your real estate needs! "- as found on Yelp.